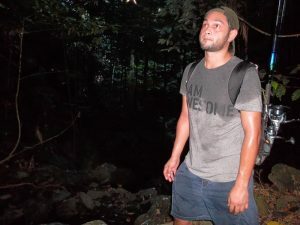 Hiking in the jungle is an awesome adventure, which you should not miss if you visit the tropics. 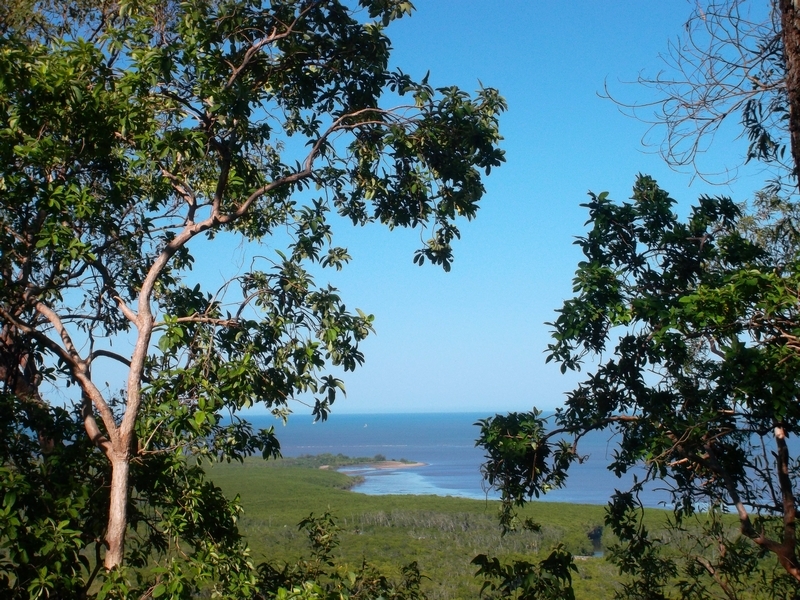 You can meet all kinds of wildlife, see waterfalls, giant trees, rugged cliffs and feel the raw power of nature in places where man hardly ever set foot. It is amazing! We made all of those mistakes on our first jungle hike at Mt Whitfield in the North of Australia. 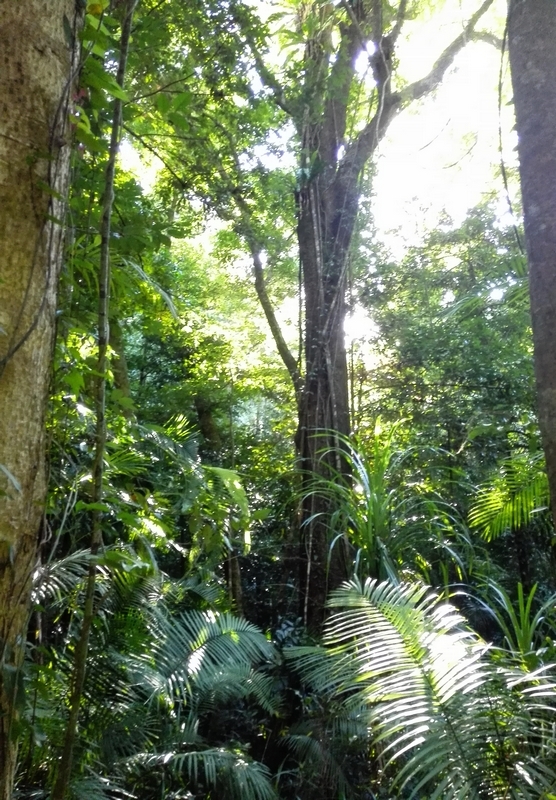 It got us into the uncomfortable situation to be lost in the jungle at nightfall, without water, without a torch, without a tent or even a jacket, without a clue where we are and with the prospect of millions of critters and snakes eating us alive in the dark. Mistake #1: Consider the time it takes to get to the trail. We left the house around 1 pm, thinking we have plenty of time to go on a quick hike in the afternoon. 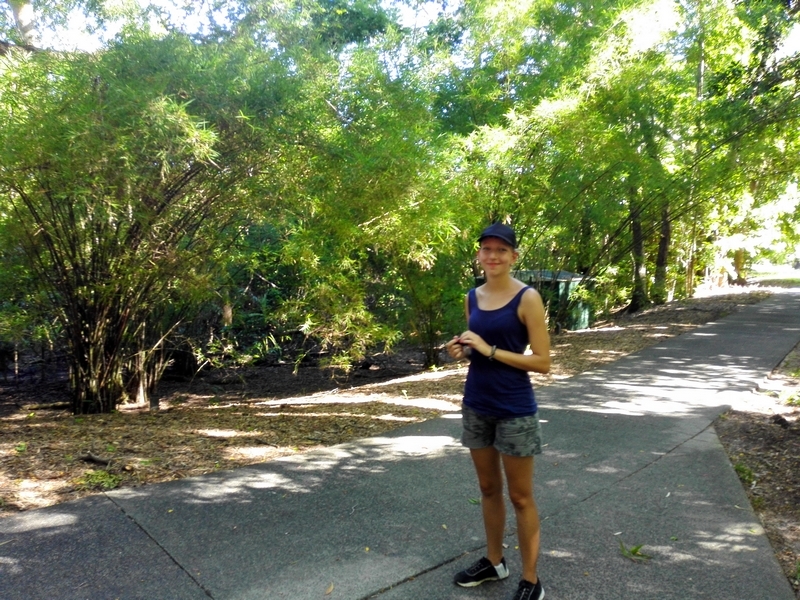 It was a wonderful hot day and since we did not have a car and did not want to spend money on public transport when the destination was just a 30min walk away, we decided to go to the trail on foot. It was a nice walk, partly along the beach, all in the greatest weather. However, since it was hot, we used up 1 of the two bottles of water that we brought along for the hike already on the way there. And we used up precious time and energy, walking in over 30° C. We also had to take a long detour because of a construction site blocking the road, which cost us almost another half hour, because we had to approach the mountain from the other side and had trouble finding the entrance to the trail. We had to cross a river and could not find a bridge, so we had to walk for a long time along its banks until we finally found a way to cross to take us to the mountain. At around 2:30pm we found the entrance to the hiking trail. It was a path that led first up the mountain to a lookout point and then in a loop around the crest, where there are waterfalls and streams. We had seen on the map that there were several lakes and streams near the trail we planned to hike, so we took our fishing rods and gear to take a fishing break on the way and hopefully catch some dinner while we are out there. This proved to be a huge mistake, as the weight of the rods as well as their length slowed us down during the entire walk because we got caught on trees and felt the additional kilograms especially towards the end of the day. We did not plan to go far with them that day, but you never know what happens. 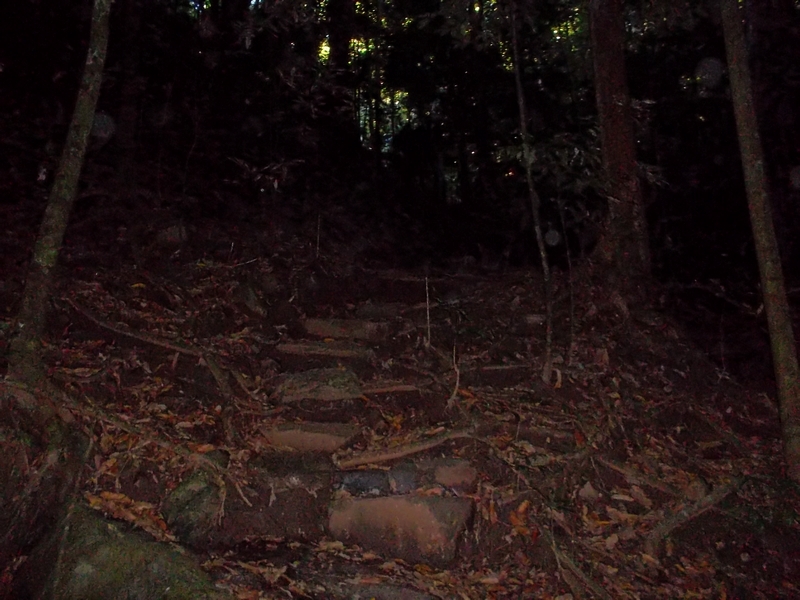 So we had found the entrance to the trail and first had to climb up a steep winding road to the peak of the mountain. 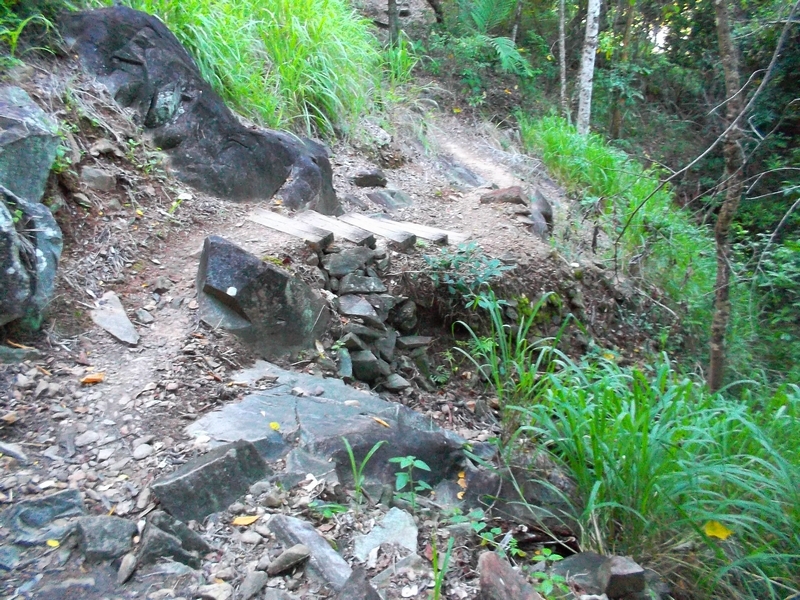 It was no easy going, crawling over rocks and through bamboo at 30+°C in the afternoon heat. But it was fun and the view was rewarding. Once on the top, we drank the rest of our water, thinking that we would soon go home anyway, where we could have a drink again. We thought getting rid of the extra weight was the best thing to do before the descend, to save our remaining energy. Not far from the observation point there was a trail sign indicating that there is an 8 km hiking trail loop around the mountain crest which would take 2-3 hours to complete. 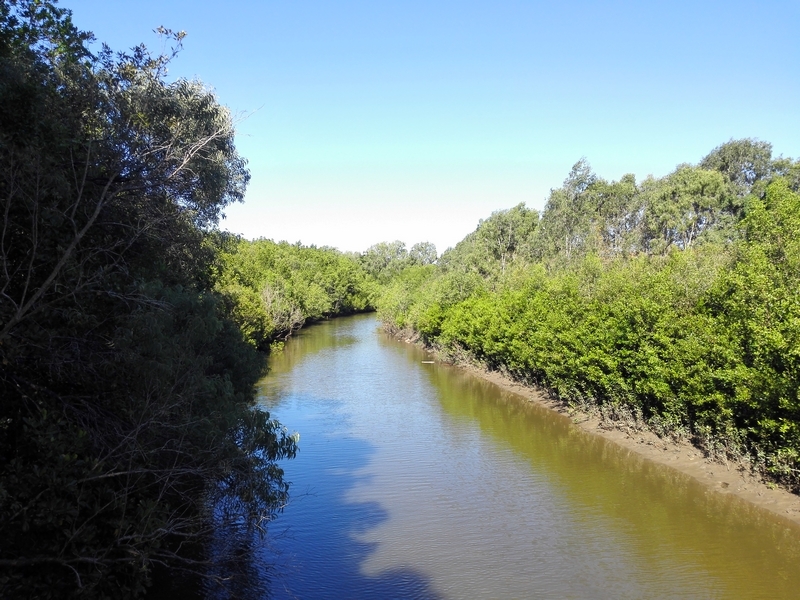 It was only 3:30pm, so we decided to have a look at the loop, just walking the first 2 kilometres until it crosses the river, go fishing, and then turn back and walk down the way we came. It seemed like a good idea. An enjoyable end of the day before returning home. We had seen the map on the sign at the beginning of the trail and took a picture of it with my phone, just in case. We chose the crossing of the river as the landmark where we would turn back after a bit of fishing. No way to get lost, right? 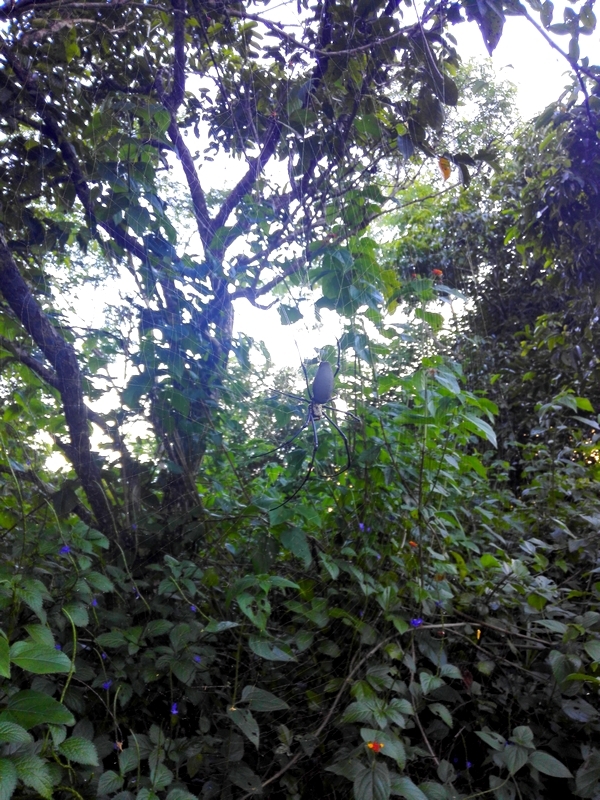 So we started walking down the sometimes hardly visible path between jungle trees, ferns and steep slopes, where we had to climb over big boulders and scramble up and down muddy slopes, while mosquitoes followed us in big swarms. We had brought some insect repellent, that we sprayed all over us until it was empty, however, the bugs did not seem to care at all and kept attacking. The mosquitoes were only the beginning though. All over the trail, there were big spider webs, with spiders bigger than my hand sitting in them. Despite their size, they were sometimes hard to spot until you walked right into them. Sometimes they were just at eye level and I stopped just before running headfirst into the spider. Sometimes our fishing rods got caught in the webs above us and the spiders came running down the rods to jump on our backs. Pure adrenaline, I tell you! However, it felt like an adventure, so we continued to hike along to find the destination of our quest: the river! Before long we had exerted our energy climbing up and down steep slopes and rocky cliffs. We felt that we should be very close to the river by now. We were not sure how many kilometers we had actually walked so far, since the trail was going up and down so much that it was hard to tell how much progress we had made. We were super sweaty because of the hot, humid air and the intensive exercise and excitement. We had no more water left and were very thirsty, so we looked at the map – picture in my phone to figure out where we are. It ran out of battery before we could figure out how far we had come. 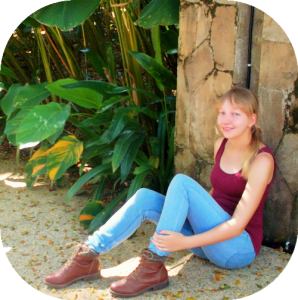 We realized that we should have crossed the river long ago and that we probably had in fact – just that the river had dried out and we had walked through a valley covered in big rocks that we did not recognize as the riverbed at that time. Judging from the time and the landmarks we had seen, we estimated that we were already about halfway down the trail. It was getting late and the sun was starting to go down, so we had to decide which way to go back. We could either go back the way we came – which would have been a long way uphill full of obstacles – or continue on the loop until the end. We assumed we were by now closer to the end of the loop than to the beginning, so we followed the trail toward the unknown last part. 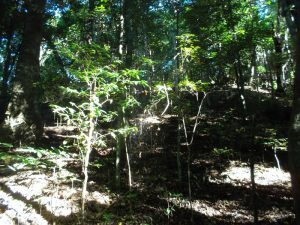 We hiked as fast as we could, but with the fading sunlight it became increasingly difficult to see the rocks and roots on the ground, so we stumbled and ran into spiderwebs a lot. 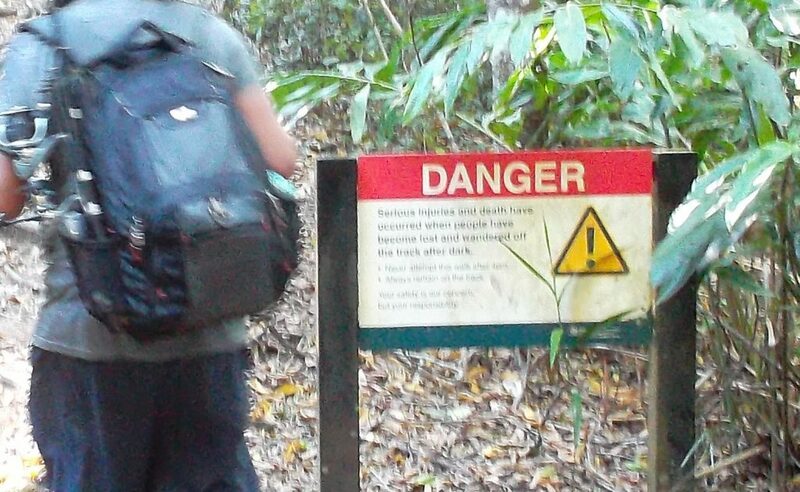 I remembered the spooky warning sign at the beginning of the trail that informed us that people who had gotten lost in the dark had already fallen to their death on this trail, while we walked on a slippery narrow pathway beside steep cliffs in the twilight. 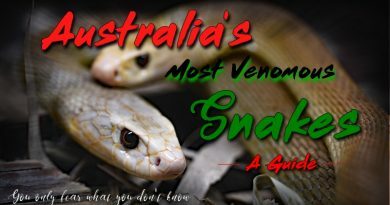 I also remembered what I read about the numerous venomous snakes in Australia, one of the points being that they like to hide under branches and between rocks in humid areas. At almost every step I expected a spider, snake or a deadfall to hit us, so it was slow going. On a proper paved road, 8 km are no big distance. On a jungle trail in the dark where every wrong step can be fatal, 8 km can feel like walking from Germany to China on foot. We had no choice but to continue. Staying the night in the jungle was out of the question, with the mosquitoes already eating us alive and it getting colder by the minute. Also I was not keen on having giant spiders crawl all over me while I sleep – just think of that statistic that says we eat 8 spiders in our sleep a year and imagine biting on one of those fist-size guys – so on we went. It was no more fun at this point. It was fear and stress. We were exhausted, hungry, thirsty, lost. In the midst of the dark jungle, we actually met another hiker who was headed in the opposite direction of us, deeper into the bush. We tried to warn him that it is a long way where we come from, and not safe to walk the narrow path beside the cliffs in the dark, but he was not worried at all and just replied: “But it’s a beautiful day, mates!”, and kept going, disappearing into the dark without even stopping to listen to us. Strange fellow. Anyway, we deducted that the trail entrance cannot be far if there are people around, and with newfound motivation, we went as fast as we could towards the end. However, the end was still nowhere near. After some time we speculated that the man we saw was maybe just a hallucination, a ghost, or, if he was real, mad, or on his way to commit suicide, or on his way to murder tourists who got lost on the trail (I had watched Wolf Creek recently which inspired such thoughts), so we went on in an even bigger hurry to get out of there. After 1 or 2 more terrible hours of exhausted hiking in the dark after this bizarre encounter we finally reached the trail exit. We still had to get home though and since we had no money with us for a taxi, we walked for another hour the long way back to our house. But at this point, it did not matter. We were saved, on paved streets with streetlights. I found a dollar in my pocket and we used it to buy a frozen coke at a night owl supermarket, which was the most delicious thing imaginable to drink while we walked home. We have been lucky to find our way back to civilization without getting injured or worse on this adventure. 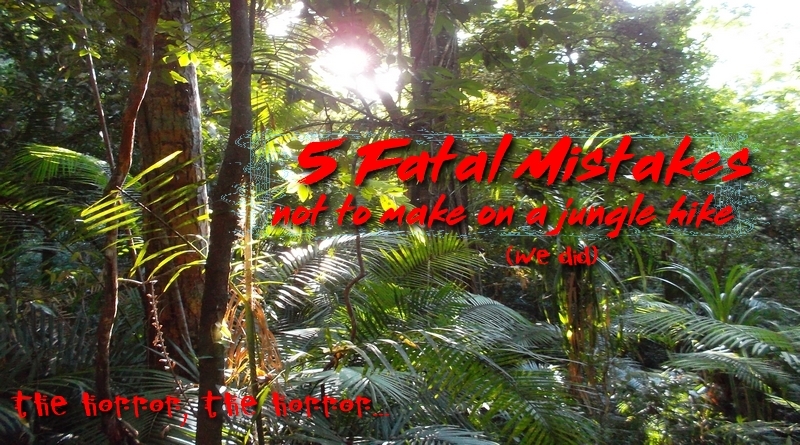 So if you plan to go on a jungle hike, even just a short one, make sure to avoid the 5 mistakes we made and enjoy the experience without actually putting your life at risk. In retrospect I could slap my forehead thinking about how stupid we were to get into this situation. But looking back it is always easy to say where you went wrong. Sometimes, in the excitement of the moment, you just don’t worry too much about things and underestimate certain dangers while you travel. It just happens. It was our first time jungle hiking and we were definitely not well prepared. But we learned from our mistakes and our next trips to the jungle were much more safe and enjoyable. However, I will certainly never forget this adventure. 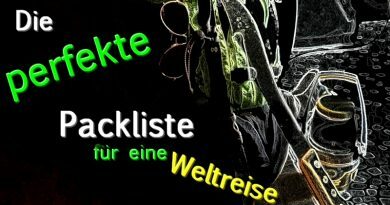 I hope you will learn from our experience as well and take all necessary precautions to have a safe trip to the jungle. Nature is beautiful, but it can be dangerous as well, so make sure you avoid the 5 potentially fatal mistakes I just told you about. 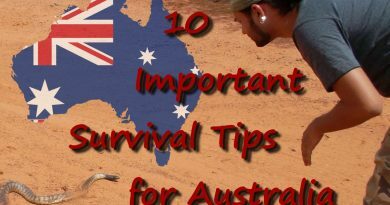 Also check out these 10 Important Survival Tips if you plan to go to Australia!